It is no secret: some students find higher education to be a financial burden when they do not seek out financial assistance. 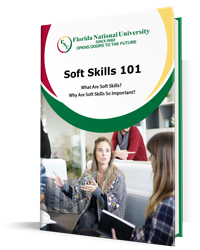 Whether one hopes to participate in an international program or a local program in South Florida, students should be well informed about the financial commitments associated with this important decision. Keep in mind that although college typically requires a financial commitment, this money is not spent blindly, without reward. Rather, students who decide to take up higher education are making an investment toward their future. Depending on one’s degree and career path, an individual’s return on investment might even be substantial. Why Choose to Enroll in University Courses? The goal behind enrolling in classes is to have the ability to pursue a specialized career related to a specific topic. Students who take the plunge and enroll in classes will acquire the skills, knowledge, understanding, and sometimes even the experience needed to excel in a particular field. Some students are unaware about what to expect when it comes to the cost of education. That is why Florida National University (FNU) has laid out this information. We believe it is important to help set one’s educational career expectations properly. A 2011 study showed that approximately 75% of prospective international students identified the United States as their primary preferred study destination. The next runner up was the United Kingdom, at just 8.4%. This makes it clear that the USA is a highly sought after destination when international studies are concerned. Individuals looking for further information regarding what it might cost to study in the United States at a higher education establishment will need to narrow down their search. Let’s take a look at all of the fees associated with enrolling in an international student F1 Visa program in South Florida, specifically. 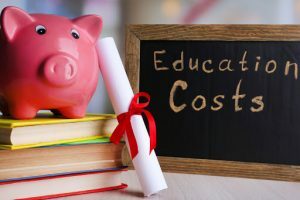 The cost of tuition is largely a deciding factor for any potential student interested in attending a university, but it is of particular importance to an international student. As an international student, an individual will be faced with added expenses. Traveling the world can be a costly decision, which can vary based on the country one chooses to attend. The good news is that it is always a great time to gain an education in the United States—especially at FNU. While many universities fail to offer a financial break to students who apply from out of the country, FNU determined that it would be in the student’s best interest to offer a more affordable education for international students. Many students who enter the country are required to pay exorbitant fees at their educational facility. However, that is not the case for international students who choose to study in South Florida at FNU. FNU offers the same tuition prices to international students that U.S. citizens pay—no added fees or elevated rates. See the rates in this chart, detailing the tuition fees required to attend the University. FNU made this choice in order to enable international students to pursue the dream of obtaining an accredited education from one of the world’s leading countries. FNU is conscious of the fact that, if the University were not committed to offering affordable prices, pursuing that dream would not be an option for many individuals. Without an elevated international student tuition fee, FNU is opening doors across the globe for students of all nationalities—something we take great pride in. Students should expect to pay rent to live off campus as FNU does not provide on-campus dormitory rooms. Our handy guide details the prices you can expect to pay while living in South Florida. Keep in mind that the US has certain regulated fees to which all international students must comply. Each international student must have sufficient personal resources to pay in full FNU registration and tuition fees, textbook fees, living expenses, transportation expenses, and other incidental expenses incurred while attending a university in the United States. Documented evidence of means of financial support must be provided to FNU for admission purposes and to obtain issuance of the Certificate of Eligibility (I-20-M-N) form. This evidence is also required by the American Embassy or Consulate when applying for a student visa to enter the United States. Non–Florida residents, upon their registration at FNU, will be required to submit the non-refundable registration fee of one hundred and fifty dollars ($150.00). Read more about the visa requirements here. FNU offers a rolling application deadline, meaning it’s always the right time to apply to our programs! If you’d like to apply, be sure to review the application guidelines in place for international students. Once you have made the important decision to obtain your higher education degree from an accredited university in the United States, contact us!